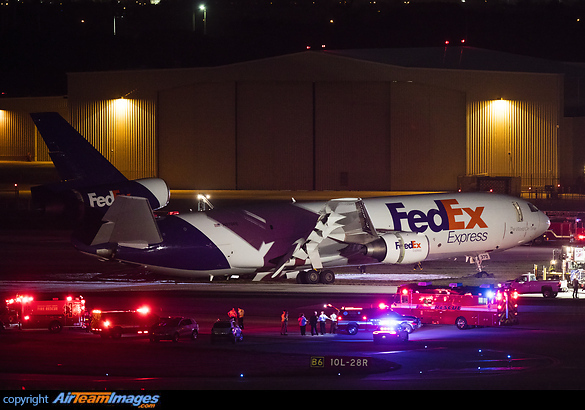 The FAA reported the left main gear collapsed during the landing roll out resulting in a fire. The DC10-10 was the first production version, it was only medium range, mainly built for the American domestic market. Almost every survivor has been converted to a freighter, and serves with Federal Express. Typical engine was the CF6-6D, rated at 40000lb thrust.